Our friendly front office staff at the reception will assist you during the admission process. They will walk you through the process and will help you quickly complete the documentation process. In addition to these initial procedures, you may also be required to make an advance payment which shall be adjusted against the final bill at the time of discharge. 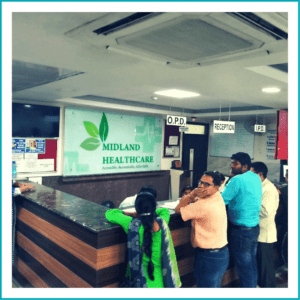 In case you have the advantage of cashless treatment, mention this at the reception and our staff will guide you to the insurance desk / TPA desk to avail the facility. For further details regarding our admission process, you may get in touch with us anytime.